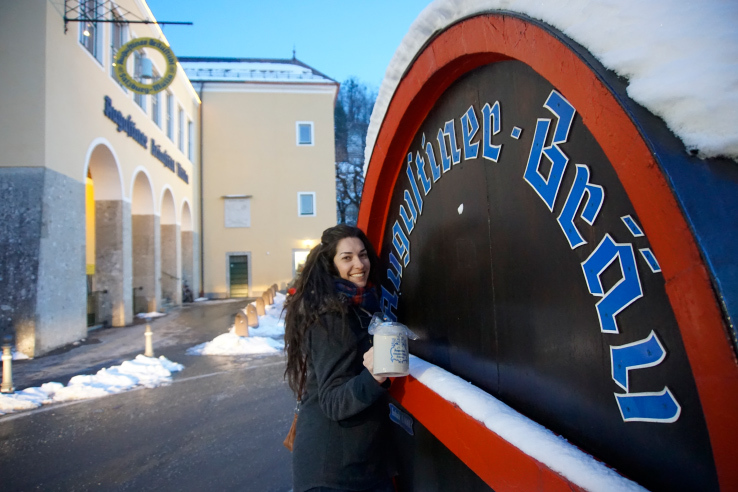 Three years ago, in our very first months of living abroad in Austria, we came across Jackie and her incredible and inspiring Budget-Minded Traveler podcast. After discovering us on Instagram, as we were preparing for our move abroad, or ‘Surviving the Countdown’ as we put it, Jackie contacted us. She was interested in doing a podcast to discuss our preparations for this major life change, along with a recap of our very first months living abroad. Was it everything we’d hoped for? Were all the preparations worth the effort? Did we miss home? Did we feel inspired or regretful? If you’re curious to know, listen to her podcast and find out here! Instantly, we clicked. It was like we’d known each other for years. She even came to visit us in Salzburg for 3 magical days. We built snowmen, visited beer gardens, binge-watched Game of Thrones and showed her around our new hometown. We were instant friends and it was a friendship that we knew would always transcend borders. Since then, Jackie’s gone on to conquer not only the travel podcast world but also now leads group trips around the world as Traveling Jackie. She is an inspiration to us and a constant reminder of the reasons we LOVED living abroad and the true beauty of discovering new places and interacting with new people. Fast forward to now, and we’ve recently relocated back to the USA after almost 3 years of living in Salzburg. It’s been a rollercoaster, to say the least. But we were so excited when Jackie reached out again for a follow-up podcast. It was like our re-entry into the travel world, that we chose to temporarily set aside while we resettled. So how’ve we been doing? Are we feeling sad and regretful for leaving Austria or content in our new surroundings? 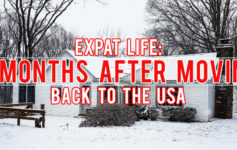 How did we deal with all the major life changes that took place after moving back to the USA? After we did a complete 360 on our day-to-day lives? Were we able to maintain our positive outlook or did we give in to the very real post-expat depression that many ex-expats face? BMT 99: “It Seems Impossible Until You Do It.” Moving Forward with Erin & Erin Zipperle. The Budget-Minded Traveler Podcast: Subscribe NOW! Travel with Jackie: Check out her planned trips, here.